Cordelia is a yoga teacher, artist and translator. She took her first yoga class in 2001, and has kept practicing ever since. She sees yoga as a powerful tool for emotional, physical and spiritual healing. Her classes incorporate elements of various styles, especially Hatha Vinyasa and Ashtanga, and increasingly enter into dialogue with other disciplines that work with somatic awareness, breathing and movement. 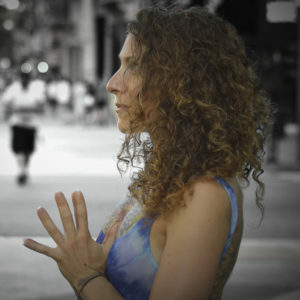 For her, the yoga class is a laboratory where students can ground, flow, strengthen, connect, express and deepen their self-awareness and connection to the wisdom of the spirit within.